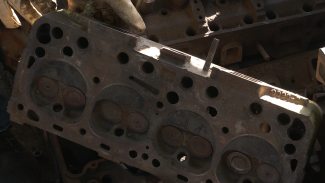 If you work on classic cars long enough, sooner or later you’ll need to remove rusted exhaust studs. 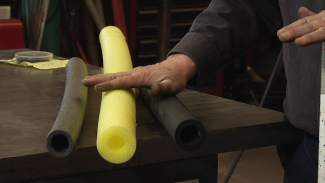 Mark Simpson explains the process to safely remove them using a stud extractor tool and quality penetrating fluids. 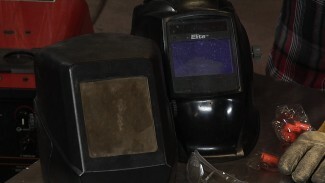 He also explains the process to properly use heat to release rusted studs. Using the right tool for the right job, ensures the task is completed efficiently and safely. Using a pliers, channel lock or vise grips for Corbin clamp pliers can be a sure recipe for trouble. 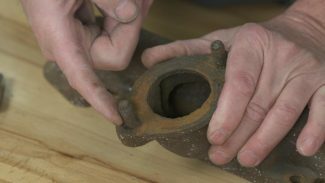 Mark Simpson shows how this relatively simple tool makes short work of installing hose clamps. 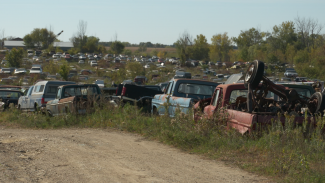 When visiting any salvage yard, success is not guaranteed, although Mark Simpson shares a few of his tips to improve the odds, during a trip to Rohners Auto Parts in Willmar MN. Knowing what to look for and where to look can yield hidden treasures even in plain sight. 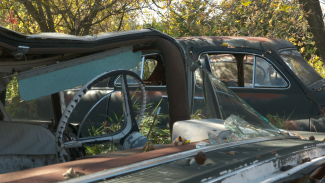 A successful trip to any classic car salvage yard begins before you ever arrive at the yard. Mark Simpson gives us a quick overview of how he prepares for a visit to ensure his time in the yard is safe and productive. The Floor Jack is a must have tool in any classic car garage. However, they can also pose a potential hazard to your car as well. Here’s a tip to help keep your car safe. Enjoying your car on the road and at car shows is why we build them; while it’s important they look good, it’s more important that they are safe to drive. Mark Simpson takes us through the key components of a car safety inspection and important safety features you should be incorporating. Brent Ackley and George Vondriska are back to start the brake upgrade. In this video, learn how to remove drum brakes to replace with disc brakes on a 56 Chevy Model 150. 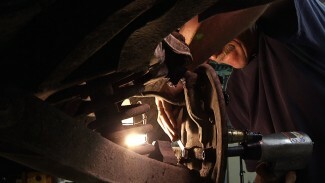 Brent also installs the new brackets.